Wow, how my heart sank. His comment stood in stark contrast to the sweet weekend we had just shared with his sister and some friends, kicking off the summer with a camping trip on the coast. Yet now fast forward from June and here we are—smoky air, regional maps painted deep red with heat, health warnings and the smattering of forest fires surrounding us. Oh, how do I have a conversation when I myself am choking back tears? Remembering the growing number of recent “you just don’t understand” laments from my fast-approaching tween son, I have come to realize that even with an 11 year-old it doesn’t work to gloss over negative emotions and just urge him that everything will be okay. I imagine it doesn’t likely work with anyone! Yet to sit and indulge anxiety isn’t productive either. One key step that Dr. Renee Lertzman and other psychological experts have found is naming the negative emotion can help us move beyond it, not ignore. . or deny it. So prompted about what made him feel anxious, my son offered his memories of last summer and now here again, and the relentless smoke and haze from the wildfires. He recalled the relief cool rain finally brought last summer but not soon enough. I would imagine that at times all of us feel anxious when we think about climate change. Yet how can we not feel that way with apocalyptic-looking sunsets? The world is on fire and the heat feels relentless. Can we actually do this? We cannot be wistfully optimistic and deny that our friends, our family, neighbors and others likely feel a bit freaked out from time to time in this age of climate consequences even though there is still a window of time to stave off the worst impacts and cool the planet. Likely we have all had times where we have not felt heard, making it harder to listen. In the climate context, if we’re not acknowledging that anxiety it’s going to be a challenge to shake folks out of their ambivalence and want to hear about hope and the solutions. We cannot gloss over the hard stuff, as that can leave people that we want to engage with instead feeling unheard. We can create more momentum towards hope with a mindful transition in the conversation and this work. My son has shared that he doesn’t want to talk about global warming (he said when he learned about it in 4th grade science class it scared him too much), it feels too big. Likely we are all in the same boat, to a degree (no pun intended). What I have tried to offer back is how I feel anxious too at times. I feel daunted, but I also know there are stories of solutions working and bright spots that matter to remember, and good people working every day to solve the climate crisis. During that particular conversation about summer dread he suddenly exclaimed, “look, Mama! Another electric car!” And soon we were playing one of his favorite games: spotting electric car models. It’s critical to talk about a problem if we want to solve it. Let’s be real—this is hard. This can feel too big, especially as we look through the smoke to headlines of heatwaves and forest fires. Yet if we talk about it more we also can remember we are in this together. We know we still have a window of time to address the climate crisis – people are thirsty for solutions. We need to name what we’re facing, including our negative emotions about it, to move towards a place of deep, grounded, realistic hope and more momentum. Don't talk climate turkey with your denier dad! Kimberly oversees the organization’s narrative development, storytelling, media outreach and engagement. She also helps manage the communications with the Power Past Coal coalition, an ever-growing alliance of growing health, environmental, clean-energy, faith, businesses and community groups working to stop coal export off the West Coast and works in partnership in several other coalitions including Stand Up to Oil. She has garnered coverage of public interest issues in outlets ranging from Time magazine to USA Today, network television to national cable news, National Public Radio to Business Week. 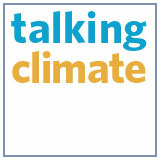 Prior to joining Climate Solutions, she was the Media Director for the Public Interest Network, a family of organizations that includes Environment America and U.S. PIRG. In that capacity she developed communications plans, conducted outreach to national media outlets, and organized with the arts and entertainment community. Previously, she was the Assistant Field Director for U.S. PIRG in Washington, D.C., directing national grassroots campaigns on federal policy issues including clean energy, global warming, forest preservation, consumer protection and environmental health; she also conducted media outreach on a California campaign finance reform ballot initiative in the fall of 1996. Thursday: join the Youth Climate Day in Olympia!